First seen in 2003, the Sony Ericsson T610 was one of the first handsets from the joint venture between Ericsson and Sony. 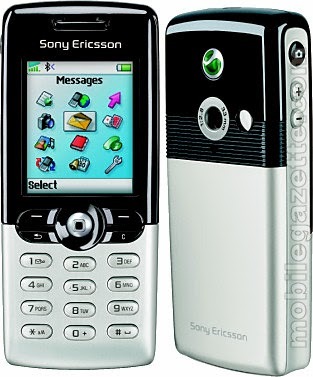 Despite being branded "Sony Ericsson", this was clearly an Ericsson design judging by the clear and stylish layout. The "T-Series" of devices were also an Ericsson trademark. By modern standards, the specifications of the T610 are pretty modest - there was a 128x160 pixel STN display in 65,000 colours, Bluetooth, polyphonic ringtones, Java, a web browser and email client and GPRS. The camera was a very low resolution CIF device (352 x 288 pixels). Talktime on the T610 was quoted at up to 14 hours with 12 days standby time, which is something that most modern handsets can't manage. All of this was contained in a phone weighing only 95 grams which was very light for its time. This is still a useful phone today, and indeed many Sony Ericsson T610s are still in use and well regarded due to their design and ease of use. Sony Ericsson recently revisited the styling with the 3G Sony Ericsson T650i. The T610 was replaced by the T630 in 2004.